You see his face everywhere, you miss his scent... The breakup happened a while ago, but you still can't get over him. Just how on earth are you to know what to do after a break up? That's when it hits you – you've made a mistake. Your heart starts racing, and you pace the room with the sudden burst of energy that just maybe, you need to win him back. Only... how to approach the situation now? Where to start? Well, keep reading and I'll show you how. It’s usually very hard to try and move on after a break up. There will be a period of time where you'll wonder if you're better or worse off without him. It's even worse realizing that you might still love him. And now you're afraid you're going to spend the rest of your life regretting this mistake. Luckily, there's a way to fix this, but it most likely won't be easy. And it definitely shouldn't be rushed. How is he handling it? First of all, find out what state he's in. You may have cleared your thoughts and know how you feel, but he hasn't. Provided you haven't cut all contact from each other, check his Facebook or Instagram. Talk to his friends or family if you're close. If he's slowly getting over you, he's ready to move on. Getting him back will be more difficult. But if he's engaging in rebound flings, or hitting on other women, then he might still be missing you. Should you wait or not? 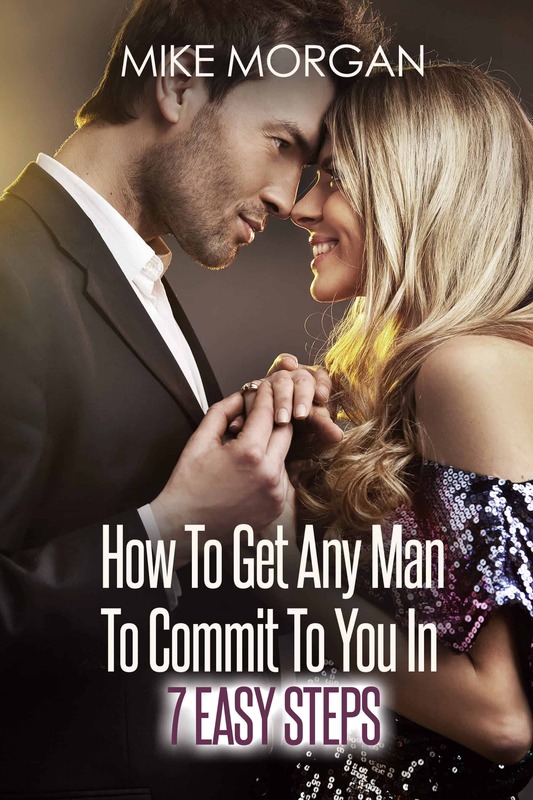 Depending on the previous point, you'll know when and how to start winning him back. If he's lost without you, then you should definitely strike as soon as possible. A guy who still has feelings for you will take some time with his next move. So in that case, be patient and don't rush into anything. Make sure to follow these other steps and then craft a plan of action. On what terms did you break up? Moving on now, you should focus on the way you separated. How angry, emotional or indifferent were you toward the breakup and each other? What caused the fallout? These are all important questions he'll want addressed when you finally approach him. You need to give him a good reason (especially if he was giving you the cold shoulder), as to why you believe so strongly that in spite of everything, you two can make this work. Some couples decide to stop all communications. Some former couples even block each other on social media and delete phone numbers. If your ex has done this, it'll be somewhat harder to start talking to him. That's why it's crucial to talk to one of his friend whom you can trust. Convince this friend to put in a few good words to entice him into opening up to talking with you. A better situation would be that you leave things on a good note. You're still casually saying hi to each other and aren't evading social media updates. In that case, try texting him, or sending something on messenger. Carefully choose your opening line, as it'll dictate how the rest unfolds. Let’s say the texting goes really well, and you decide to meet up. Choose a place you'll know he'll love. Or pick someplace that guarantees peace and quiet, where you both can hear each other talk. If you really want to be straightforward with your intentions (since guys don't really pick up on subtle hints), take him to where you had your first date. If he asks why, simply say you felt nostalgic, and this is always a pleasant memory to return to. Now, there are some things you can do to make your ex more open to hearing you out. Think about conversation starters, how to avoid tense moments, and how to manage this smoothly. Yes, you've been together. But that doesn't mean this meetup will be like you've never broken up. It's bound to be weird and a little awkward, so prepare for that. Just don't be nervous, as you're the one trying to fix this. That alone takes plenty of courage, and you're already making steady progress. Talk about the little things, and if possible leave the heavy stuff for some other time. Only when you're both ready should the topic of getting back together pop up. In 90 percent of your conversations, your body says more than your words. Use this to send signals his subconscious will pick up on, and observe his own body language. Casually (and accidentally) brush against him when you can, reigniting some of the intimacy. Keep eye contact. And even if the conversation gets a little heavy, show him you're in the moment. Play with your hair and trace your collarbone to keep his attention focused on you. You can even fidget with your fingers or jewelry to show him you're just as nervous and emotional as he is. Usually, when discussing dealing with breakups, it's about getting over your ex. But what happens when you realize the breakup was a mistake? I hope this advice helps you decide how to approach your ex and draw him back to you. The last thing I'd like to say is to hold yourself high. He may be the love of your life, but even if things don't work out, in spite of your best efforts, let him go.